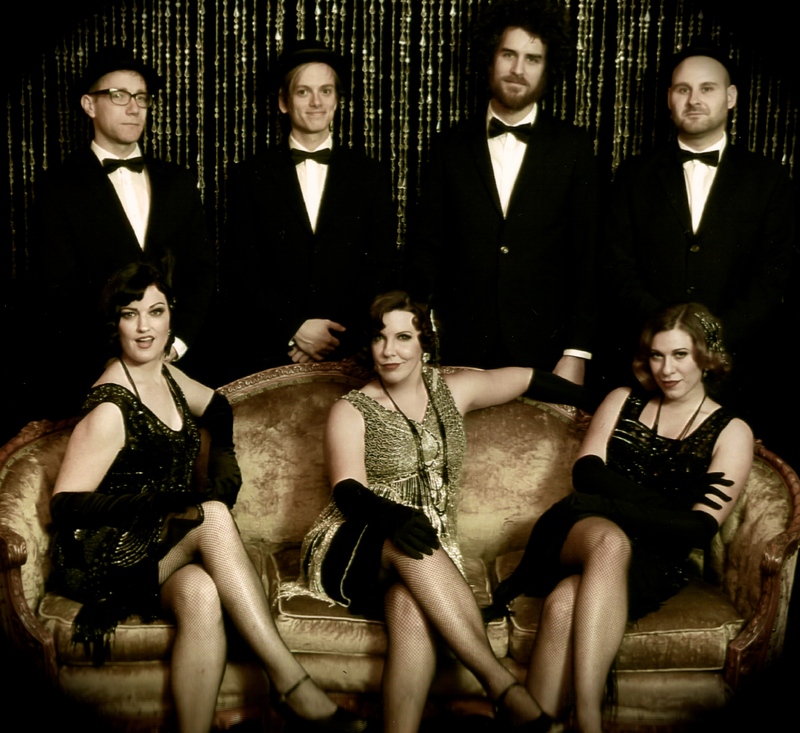 “I recently hired The Bettys for my 1920s themed wedding. We were already sold on them when we heard them play at a little bar in Toronto, but nothing could prepare my husband and I for how amazing they were at our wedding. They truly made our wedding come alive. Dressed beautifully in 20s inspired wardrobes and playing the perfect song list that was a mix of modern, 20s and soul – our guests were literally dancing from the first song until the last. The ladies even got on the dance floor to teach the guests a few moves! Many guests said they were the best band they had ever seen! We agree! I had no clue The Bettys existed 6 months ago! Every year, we hold a fundraising gala called For The Love of Chocolate in Chicago. It’s a big party, over 1000 guests with over-the-top pastries, chocolate, theater and entertainment. One thing that makes our gala stand out from other snoozer black tie affairs is our entertainment. We always try and bring the best music and bands to the night. 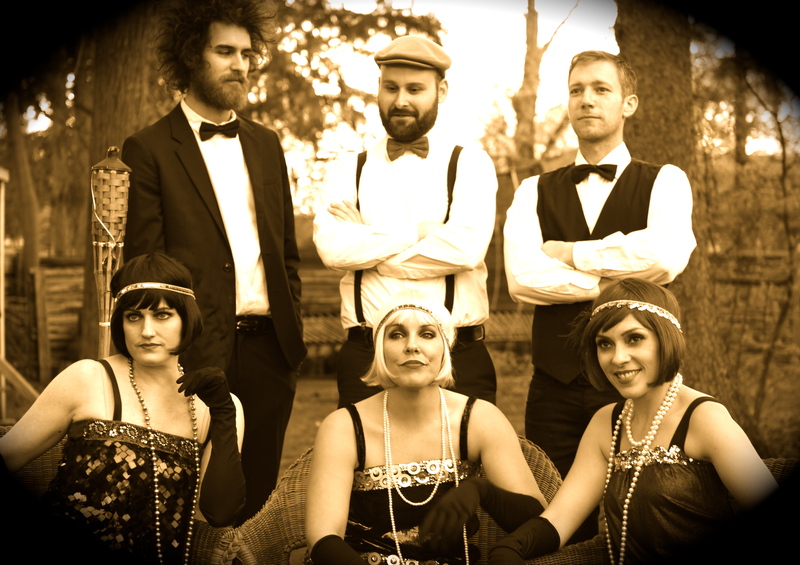 This year, our theme was 1920’s Great Gatsby (but with a modern twist), so I knew I had to find just the right band to fit the bill. So….I found The Betty’s online, and I immediately loved what I saw. I was communicating with Lisette, who is an absolute gem, quick to respond and I just immediately got a sense of comfort with her. Unfortunately, the group was booked locally in Toronto that night So, we started looking elsewhere, throughout Chicago, California, New York, but I simply couldn’t find anything like The Bettys. I contacted Lisette again and after some very kind rearranging on her part, they rescheduled to come to Chicago for our gala. Again, Lisette and the team were an absolute pleasure and once we started talking about the details, I was completely comfortable knowing she knew exactly the feel and tone we were going for. We too, wanted to start out with a nice ‘lounge’ feel and then move up to a dance party atmosphere. Okay, now that I said all that, let me tell you why I really love The Betty’s. They are UNIQUE! You won’t find anything like them anyplace else. They are versatile and can span a huge genre (20’s, 60’s, 80’s!) without sounding like the typical wedding cover band that belts out a bad version of Brown Eyed Girl. The crowd was eating them up all night. They’re memorable. They’re engaging, but again, not in a tacky way I’ve seen so many times. They flow with the event and the crowd. Our guests danced and partied all night with them. I can’t tell you how many people came up to me in the following days and talked about The Bettys. In fact, we rarely invite bands to return a second time to our gala (we like to keep it fresh! ), but we will be inviting them to return next year to entertain our group. If you are looking for something a little different, but crowd-pleasing with a little sass and major pop, then you’ve found your band. The costumes, the songs, the music, the lovely ladies…..It was a magical night and I can’t wait to have them play again. People are already asking….”Who is that amazing band?? ?” is what I heard time and again. 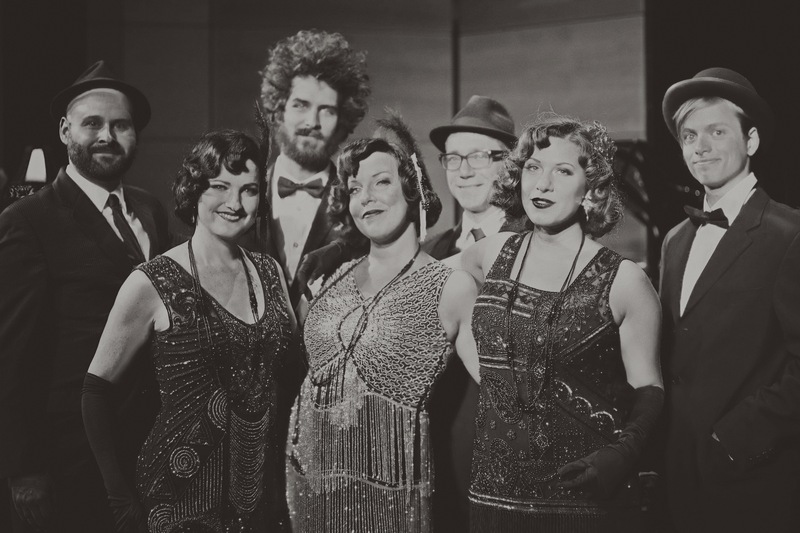 “We asked The Bettys to perform our corporate party and I couldn’t be happier with their performance! 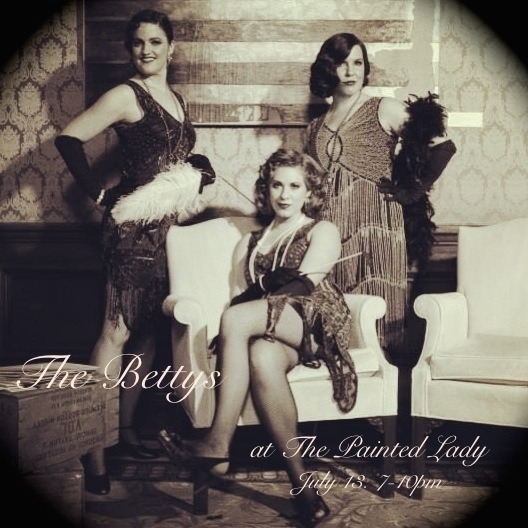 We had turned an old warehouse space in a 1920’s speak easy, but it didn’t truly feel authentic until The Bettys hit the stage. The girls looked the part and sounded amazing, and the band was awesome! I especially loved how they incorporated some modern music into and still sounded like the belonged in an old gin joint from the 20’s. Not to mention they we’re so easy to work with. Lisette was extremely patient with me and responded to ALLL my emails and phone calls promptly, ad had really good ideas for the event, they went even above and beyond to find a couple of dancers to bring along. I’m already brainstorming ideas for events where we can book them again! They were such a delight. ” –Emily Friar, Global sale division, Amway Co.
“The Betty’s – What’s better than a trio of seductive songstresses in tight harmonies and dresses? The Betty’s truly entertain with their fantastic program and arrangements of big band, mo town and modern music. Their show is a must see”. -Martha Kolls MD of “Homemade Jam” Forest ON.